Below are some ideas for a table of content. You can always go for a traditional table of content or do something more exciting. Make sure that the information is easy to find. A good design is one that is easy to understand. This should not stop you from making it fun though. 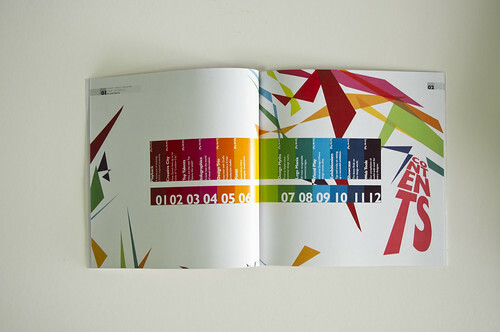 Some of the images can be found at this good compilation of table of content designs: Smashing Magazine – Table of Content: Creative Examples. You will work on Assessment 1 in class for the first 2 hours. You should be close to completion and hopefully be able to complete Assessment 1 by the end of class. Use the attached experience planner, that we completed in class based on the CentreLink experience: Experience Planner- filled in partly after class 04. Use it to help you create an experience planner for the event PDF that you are creating. This will give you the ability to focus on fixing negative experiences and planning for a positive experience with a product or service. Creative Hotlist this site has a large selection of solid design ideas. You will find many design concepts that are inspiring to look at and are complete as a work. 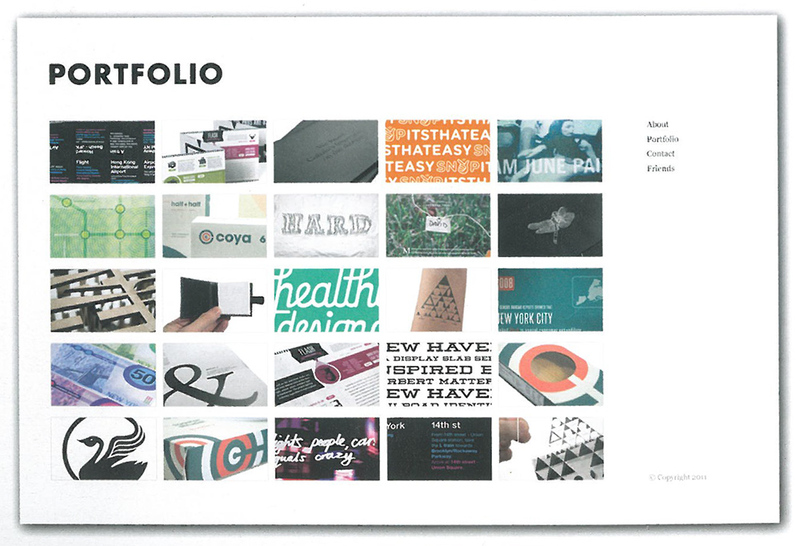 Born Book is a beautiful and inspiring interactive PDF document. Issuu is a site that allows you to publish your work and you can find a large number of publications there. Lonny is the website of the Lonny Magazine, a online home decor magazine that highlights inspiring interiors, innovative designers, and the latest things to buy for interiors. Their online interactive magazines are good examples of interactive PDFs and layouts. This InDesign workshop will look at the creation of interactive buttons. The workshop will be held in class. To be handed out. Check for updates within the next hours. Upload the file below and create form fields using Adobe Acrobat Pro. Make all blue text fields, the name and date active. Next fill all the data in and save and upload the file to MyKangan. add descriptions of the images: what tools and techniques did you use? STEP 2: Create text fields in Adobe Acrobat Pro and add descriptions to your work. The descriptions need to state what tools and functions you used. STEP 3: Save the final PDF and upload to MyKangan. Follow the in-class instructions on how to use the Crop Tool or follow the tutorial below the image. free-hand – simply select the crop tool (Shortcut C) [Visit Shortcutworld for more Photoshop Shortcuts] and drag a window over your image. You can adjust the size of the crop selection by dragging the edges and corners. 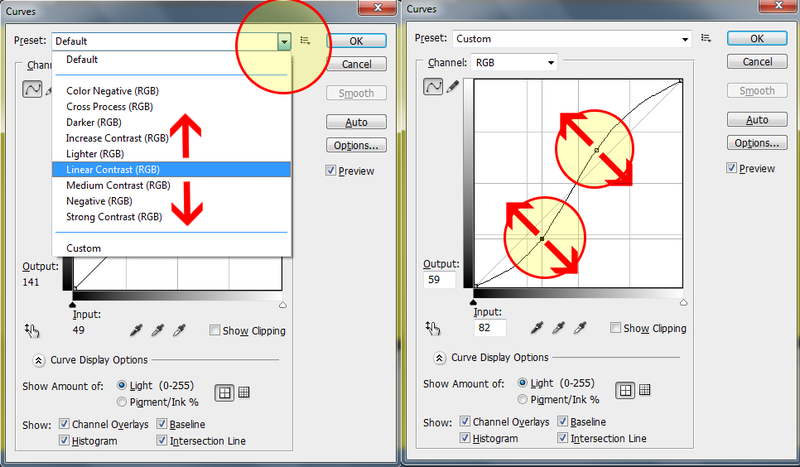 You can even rotate your crop selection (with CS4 or higher). Hit Enter to complete the crop action and accept the new size. 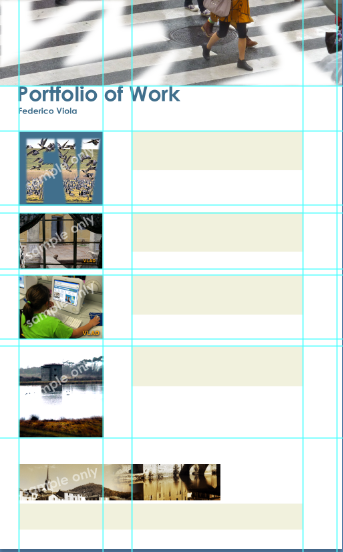 key in dimensions – after activating the crop tool enter the width: 500 (in px for web), the height: 600 (in px) and the resolution: 150 (72 is suitable for web)- the values need to be entered in the options bar (also called properties bar). See image below as an example. Next drag the crop window and press enter to except the change. Note that the window is restricted in its scale. 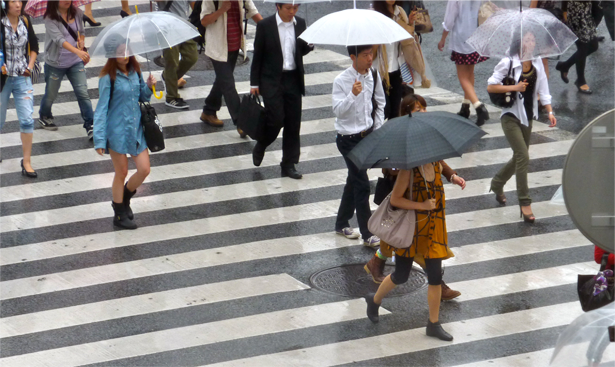 See the dimensions of the Crop Tool: 450px x 400px with 72ppi resolution. Follow the in-class demonstration. 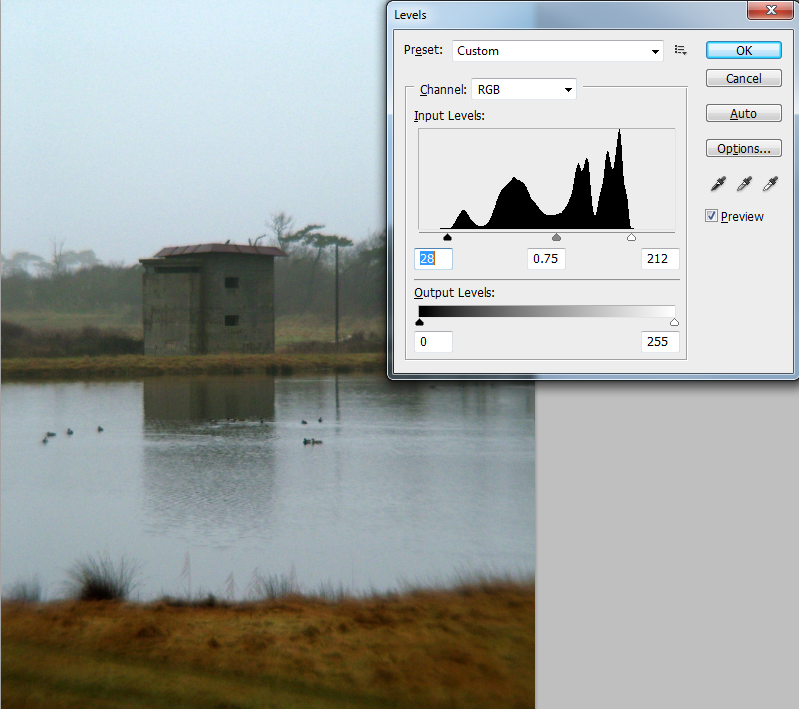 A nice and basic function, it allows you to change the brightness and correct the contrast. Move the slider to change the values. Tick and untick the Preview box to observe the changes before accepting it. Use the sliders. It is self explanatory. With the Levels function you can adjust problems with tone (eg a photo that is very grey and does not show enough dark and light aspects) or colour related problems (eg too much blue). Overview: follow my in-class introduction to how to use the Levels in simple steps. Use the attached photo by Matthew Bridges of the old house at a lake. The easiest and most basic way to apply the Levels function is by moving the sliders for the highlight (white) and shadows (black) below the graph of the input levels inwards. 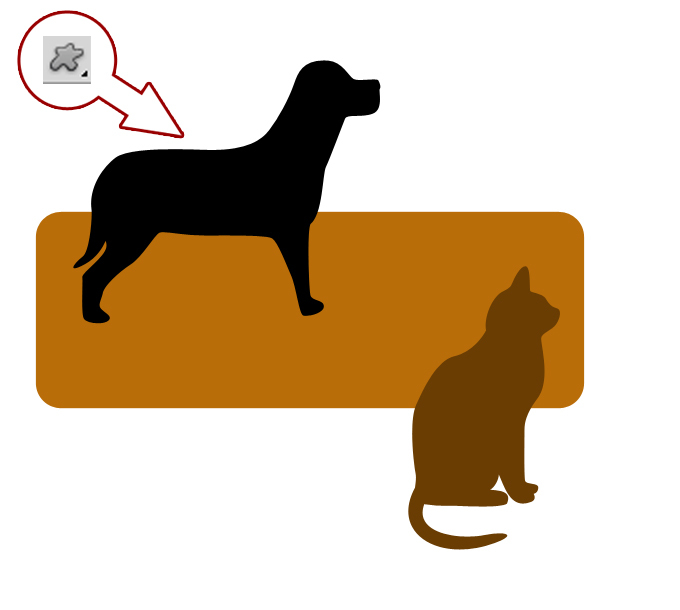 Moving the highlight will brighten the image up and moving the shadow will darken the shadows. This is a good basic function to start of with and it is useful for the majority of your photos, may they be basic shots or more sophisticated and at higher resolution. Try the presets and see how it affects your image, and then manipulate the curve yourself. The short cut is Shift+Ctrl+L (or: Image>Auto Tone). Follow the in-class demonstration. The Auto Tone function readjusts tonal settings in your image and in most cases this results in a crisper image with the click of a button. The Auto Tone option looks for the darkest and lightest points in an image and resets them to pure white and black, resulting in clearer tones. 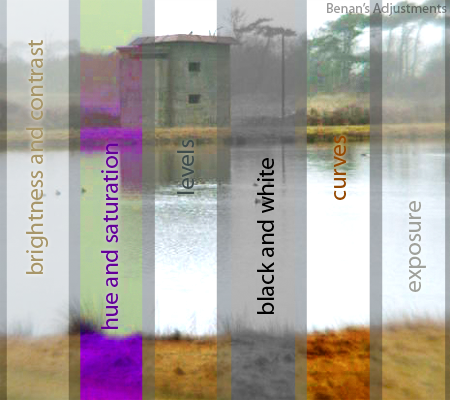 Because Auto Tone adjusts each color channel individually, it may remove color or introduce color casts. The short cut is Alt+Shift+Ctrl+L (or: Image>Auto Contrast). Auto Contrast adjusts image contrast automatically, at the click of a button. Unlike Auto Tone it will not affect colours. It clips the shadow and highlight values in an image and then maps the remaining lightest and darkest pixels in the image to pure white and pure black . As a result the image will have lighter highlights anf darker shadows and a crisper contrast. 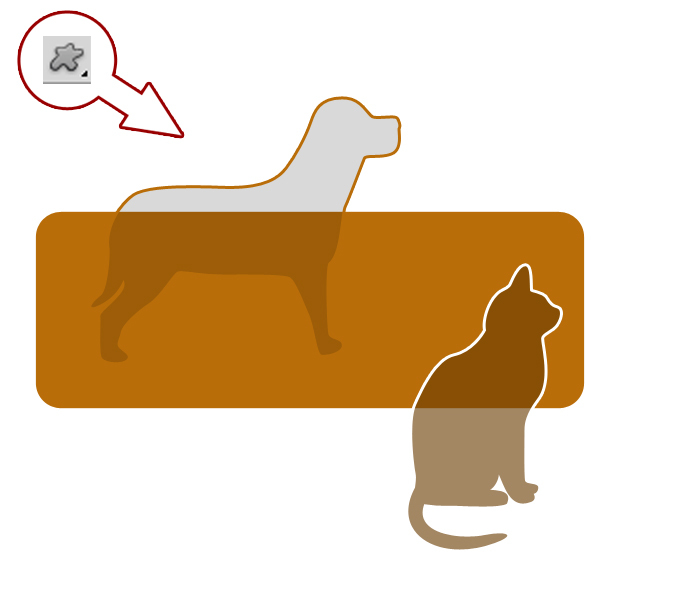 Auto Color adjusts the contrast and color of an image. 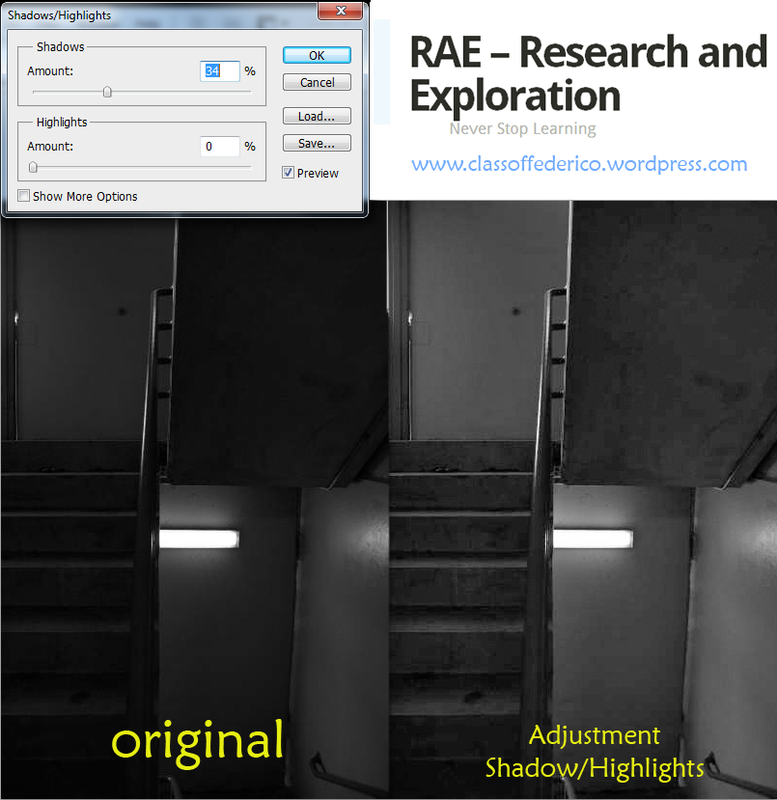 It is able to search images for shadows, midtones, and highlights. It then neutralizes the midtones using a target color of RGB 128 grey and clips the shadow and highlight pixels by 0.5%. Personally, and from experience it effects images less and Auto Contrast and Auto Tone bring more convincing changes in image quality. 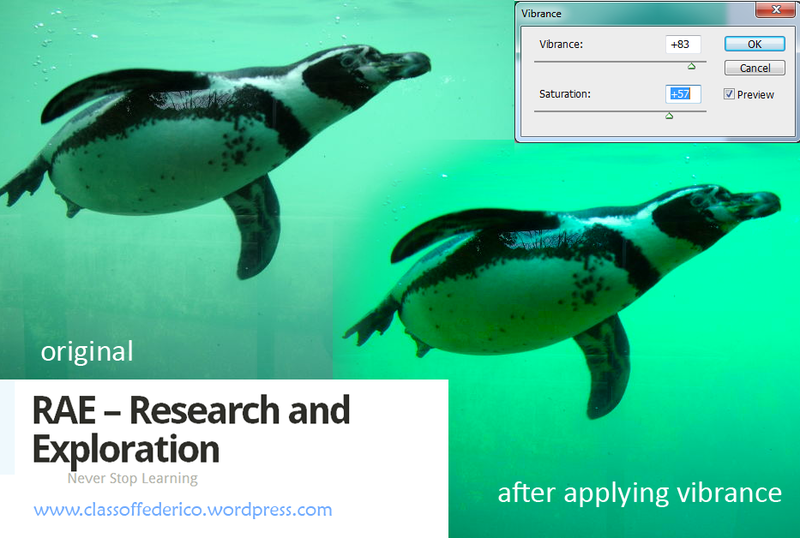 As the name suggests this function will help you making a photo look more vibrant. 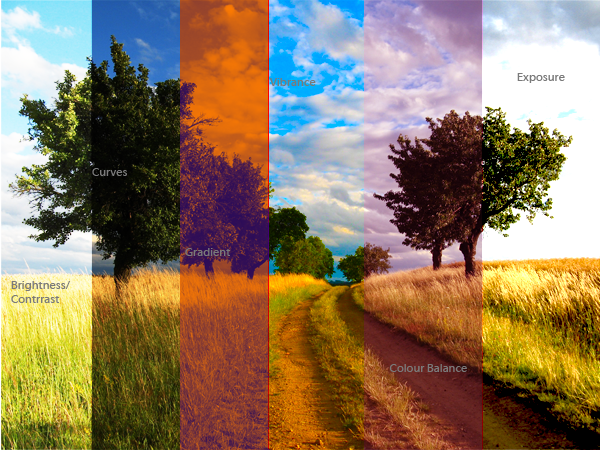 Colours can be shown more intensely with higher saturation. It is easy to grasp this function, simply move the sliders to the right to increase vibrance or move them to the left to decrease vibrance. 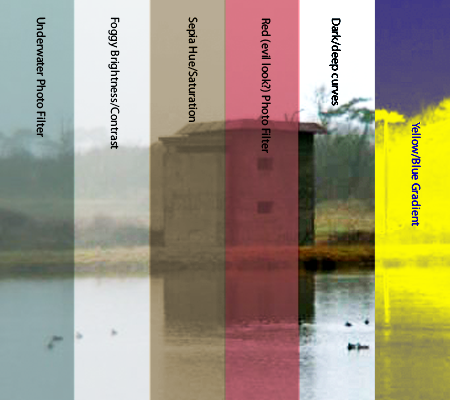 Using Hue/Saturation Adjustment Layer with a mask showing the original (yellow) below. Follow the in-class demonstration. Press: Image>Adjustments>Photo Filter. One of the best image adjustment options, you can select from a set of preset filters: use a warming filter to create a lighting sense that you would encounter indoors, in autumn (fall) or during a sunset when there are more yellow, orange and red colours around. Use a cool filter to create a typical outdoor setting or a winter atmosphere. You can tick the Color box and select your own colour or select a colour from the image itself (simply click on the part of the image). 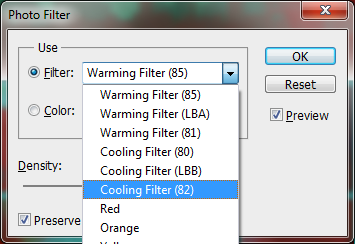 You can also change the amount of density, more density results in a stronger impact of your filter. Find a level that you like – try to be more conservative and chose a little less density than you like for a print). Follow the in-class demonstration. Click: Image>Adjustments>Shadows/Highlights. With the shadows and highlights you can easily lighten up an underexposed, dark image. Use the functions sparsely to not overdo the changes, which can easily create an unrealistic look. 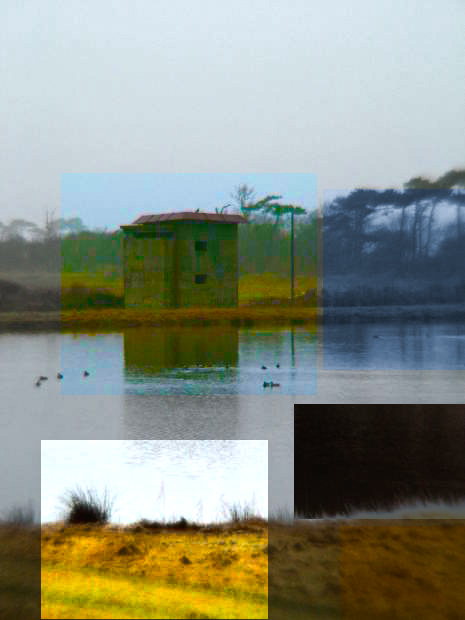 The image shows the changes on a dark photo. All the image adjustments that we have looked at above can be done directly to an image or in from of an adjustment layer. 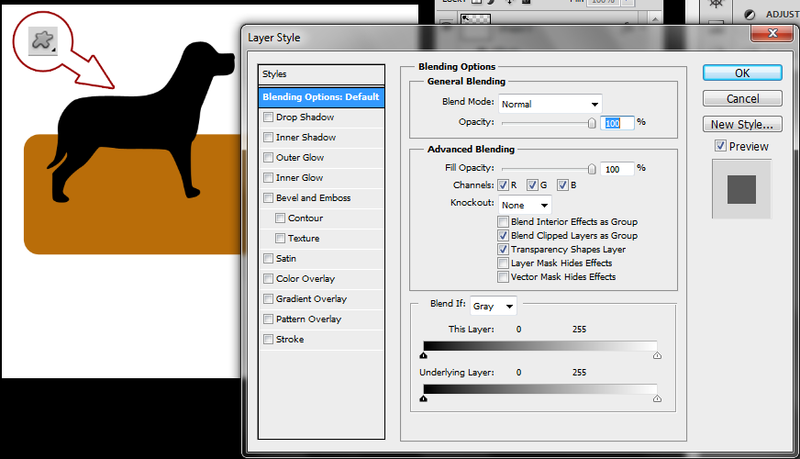 It is far better to create an adjustment layer, this allows you to create changes in form of a layer. You can always delete or hide the layer and your original image remains unaffected. 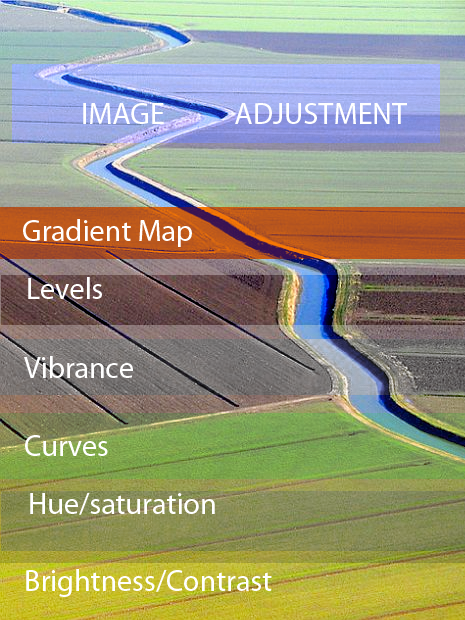 How do you create an adjustment layer? With your original layer selected click on the Create a new fill or adjustment layer button and select what type of adjustment layer you want to create. Next do all the adjustments to it. 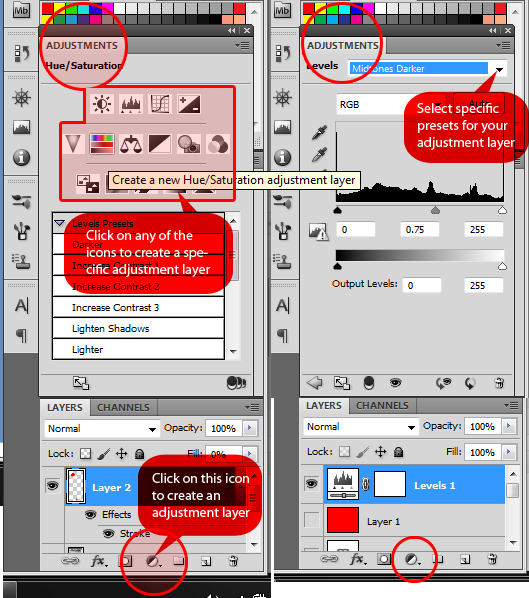 Alternatively you just click on the Adjustments tab and select the Adjustment Layer that you want to create. 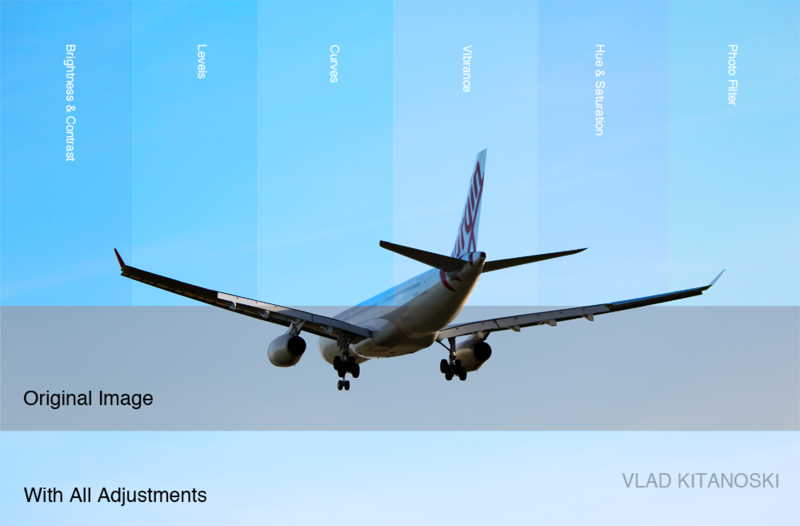 Use the image by Matthew Bridges (or select an alternative image). 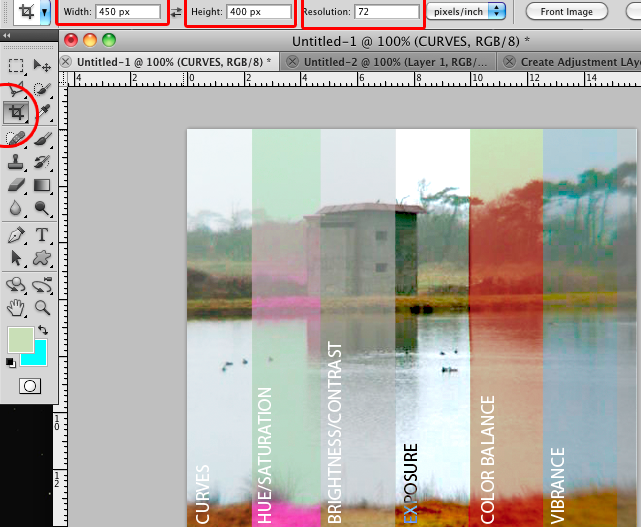 Use the crop tool and resize to 500px x 600px at 150ppi (resolution). Apply 6 different image adjustment layers and mask them off in strips (see examples of student work). Add titles to your strips. E-mail the file to me as a PNG (not PSD) and keep a copy for yourself. In your second task I would like you to use Matthew Bridges’ image only. 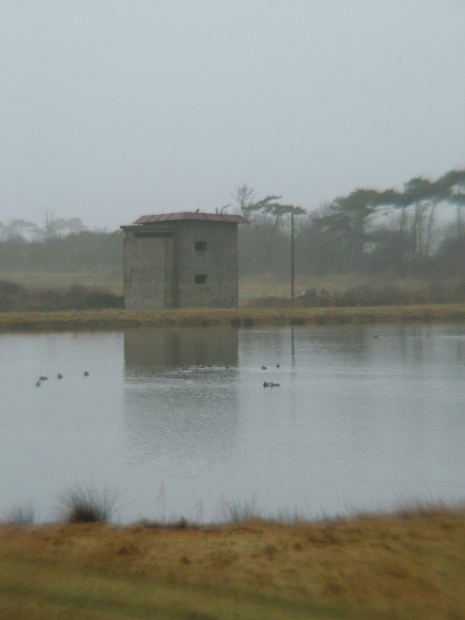 The photo is very grey and it looks foggy. I would like you to improve the image using any of the image adjustment functions that you have learnt about. When you are happy with the improved image e-mail me a PNG version of it (no need to crop the image). Create a before and after version of the image. Assessment 1 is a planning assessment. Your focus will be on creating an interactive PDF for an event of your choice. Assessment 2 will then focus on the creation of the interactive PDF. 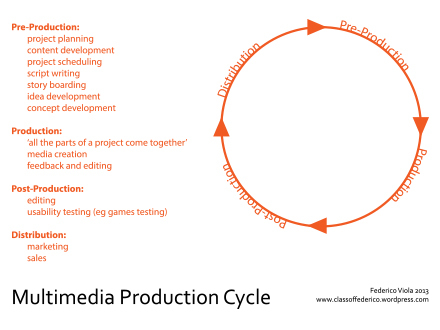 We will go through the steps of creating the interactive PDF in the next 2 weeks. Below is an example of the Experience Planner completed in class: Experience Planner- filled in partly after class 04. Assessment 1 requires of you to plan an interactive PDF for an event of your choice. Assessment 1 will not require for you to create this interactive PDF, you will just plan for it.